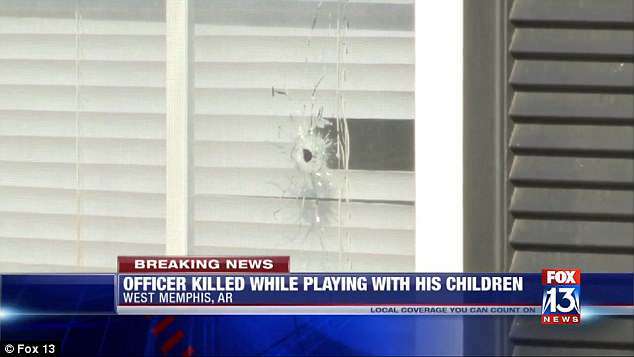 An off-duty Arkansas cop was fatally shot in his own home when 40 gunshots were fired towards his apartment. Forrest City Police Officer Oliver Johnson Jr, 25, was hit when bullets riddled his house by two unidentified groups of people outside. 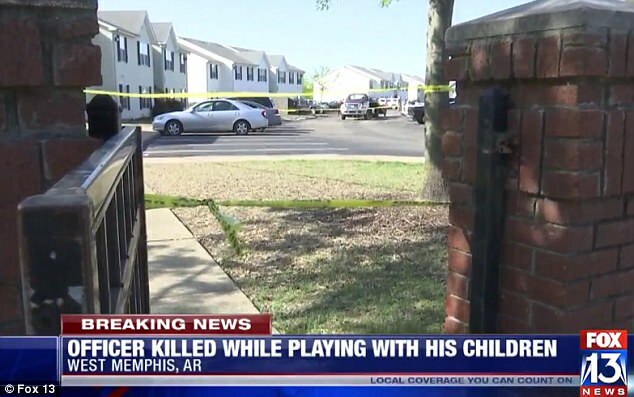 The father-of-two was inside the West Memphis apartment playing video games with one his daughters when the shooting took place on Saturday around 3.30pm, police say. 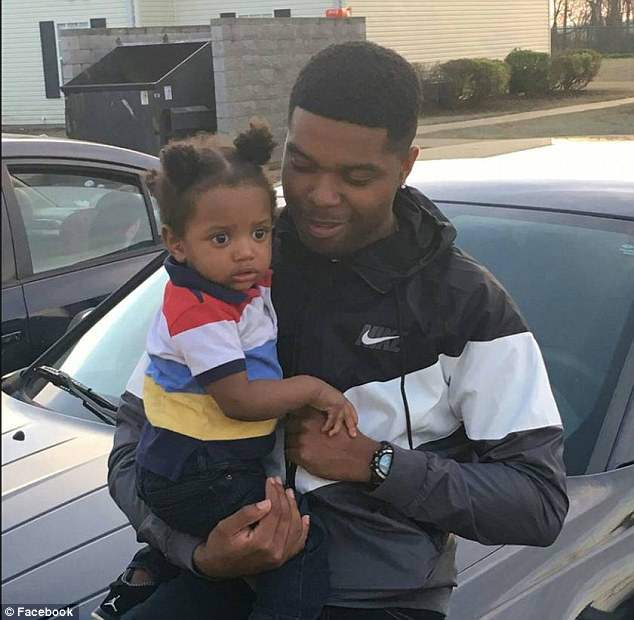 Rounds of bullets hit the facade of his apartment and one hit Johnson in his upper torso, according to the Northwest Arkansas Democrat-Gazette. 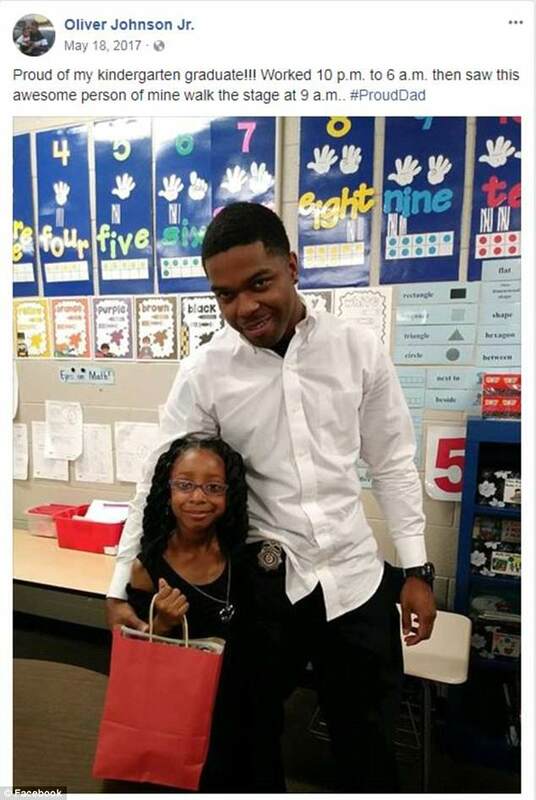 Johnson was home with several children including his daughter when the shooting took place. A family member performed CPR on the officer after he was hit. He was taken to Regional Medical Center in Memphis, where he was pronounced dead. ‘They hit the apartment. They hit the car. They hit the whole place up,’ a resident told FOX13. Johnson’s relative Portia Weatherspoon says she saw someone in a vehicle drive by and open fire. ‘We just heard about 40 gunshots,’ Weatherspoon said. Police do not believe that Johnson was the intended target in the shooting. 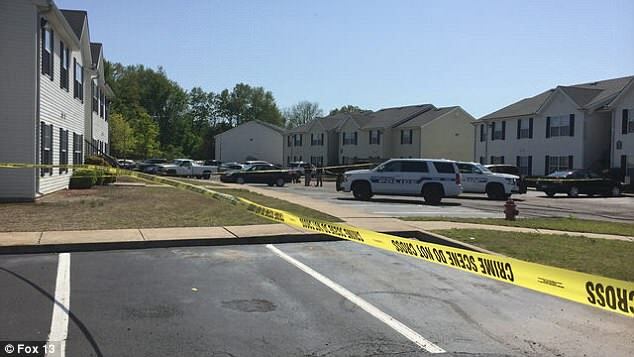 ‘It was an encounter between the suspects and another group outside of the apartment,’ West Memphis Police Captain Joe Baker said to WREG. ‘This hits everyone a little close to home in law enforcement. He was a police officer, some of my officers did, in fact, know him,’ he added. Police are looking for the suspects. Johnson is survived by his two young daughters and his fiancée. He and his fiancée were planning a birthday party for one of their children in the coming weeks. 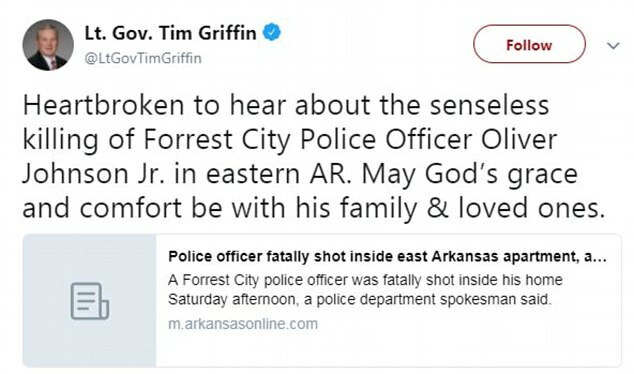 Arkansas Lieutenant Governor Tim Griffin shared his condolences for the fallen officer on Twitter. 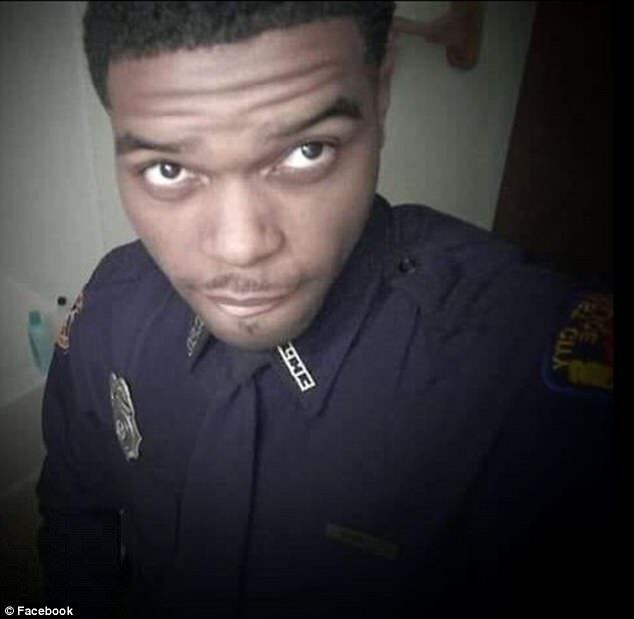 ‘Heartbroken to hear about the senseless killing of Forrest City Police Officer Oliver Johnson Jr in eastern AR. May God’s grace and comfort be with his family & loved ones,’ he said. 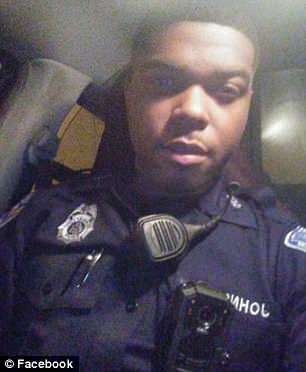 Johnson had been an officer with the Forrest City Police Department for more than two years.